Can the World Run Without Oil? The world economy remains much more dependent on oil than most of us imagine. Oil remains the world's primary energy source, even if the global economy is admittedly less dependent on oil than it used to be. The past couple centuries of technical progress have been powered by fossil fuels such as oil, coal and natural gas. Renewable energy sources such as hydropower, solar and wind energy, and geothermal heat are indeed gaining ground, but still only meet a fraction of the world's annual energy use. So how important is oil really? Will the world economy be able to escape the grip of oil in the near future? The short answer is no. "On the one hand, the advanced economies are less dependent on oil than they used to be. On the other hand, oil consumption in emerging economies, particularly in China, has risen substantially. Net on net, the energy intensity (the use of energy per unit of GDP) has steadily declined over the past two decades on a global basis. We can nevertheless not get around oil, even if we would like to," said Björn Eberhardt, Head of Global Macro Research at Credit Suisse. Global energy consumption has almost doubled over the past three decades, with oil remaining the biggest source of energy, according to data released by the International Energy Agency (IEA). 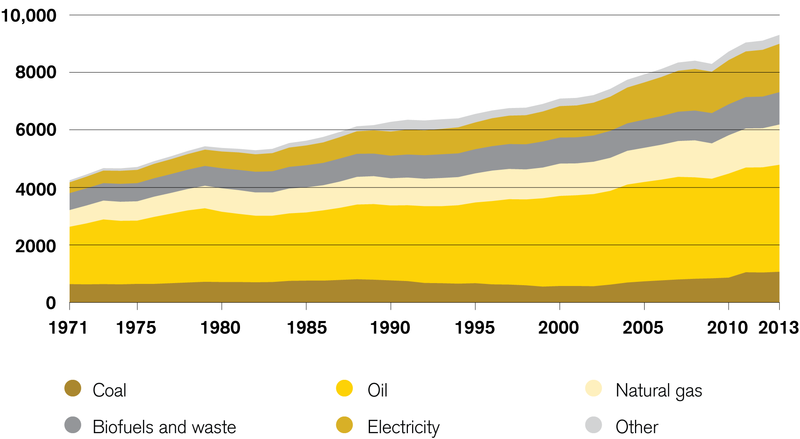 In 2013, oil accounted for 40 percent of the world's total final energy consumption, far ahead of the market share for electricity (18 percent), natural gas (15 percent), and coal (12 percent). In the 34 OECD countries, which include many of the world's most advanced economies, the dominance of oil is even greater. It makes up nearly half of the bloc's final consumption, more than double that of electricity and natural gas combined. 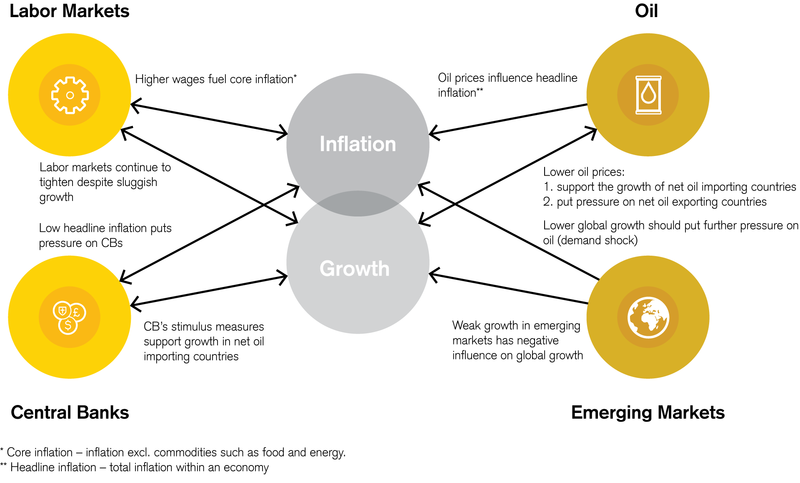 Some areas of the global economy are totally dependent on oil. The transport sector is one of these. According to International Energy Agency nearly 96 million barrels of oil are consumed daily worldwide. This is about 15,360,000 cubic meters (roughly the size of the Empire state building). The world would literally grind to a halt if oil was not available. Nearly two-thirds of the world's oil consumption is used to fuel our various modes of transport, from airplanes and cars to buses and cargo ships. Transport in Europe is 94 percent dependent on oil, according to data from the European Commission. Efforts are underway to find suitable alternatives to oil, but hybrid cars, pure electric vehicles or vehicles powered by hydrogen fuel cells only made up 2.7 percent of overall vehicle sales in the EU28 in 2014, figures released by the European Automobile Manufacturers Association (ACEA) show. PwC estimates that European sales of pure electric, plug-in, mild and full hybrid vehicles could reach 2.2 million units by 2021. This is against the 14.4 million motor vehicles that were registered in the region in 2014.
Who Plays the Energy Game? The Middle East supplies nearly a third of the world's crude oil, with Saudi Arabia alone supplying nearly 13 percent of the world total. More surprisingly, Russia and the US are not far behind, each producing just over 12 percent of global crude oil, provisional 2014 figures from the IEA show. US oil output has nearly doubled over the past few years, boosted by its shale oil boom, forcing America's oil suppliers to find other buyers. The resulting oversupply, combined with a more energy-efficient world and slowing global demand for oil, are some of the factors that have triggered the recent plunge in oil prices. Saudi Arabia and Russia – the world's largest net exporters of oil – are among the most affected countries. Other economies losing out on substantial oil revenues include Nigeria, Iraq, Angola, Venezuela, Brazil and Ecuador. Oil prices have an immediate impact on numerous aspects of our daily lives. Inflation is one such area. The decline in oil prices has driven inflation down close to zero, resulting in an effective tax cut for many. 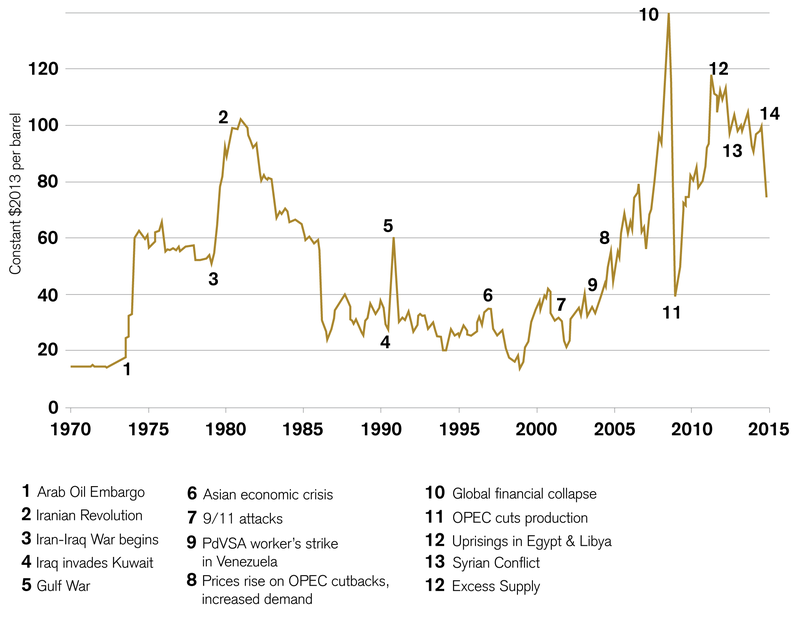 "Plunging oil prices dragged down inflation in many countries. After years of low inflation, major central banks' tolerance for further downside surprises in inflation has decreased. In that sense, lower oil prices were also one reason for additional monetary easing by the European Central Bank, and also the delay in interest rate hikes in the US," said Philipp Waeber, an analyst at Credit Suisse's Global Macroeconomic Research. Another area affected by oil prices is global growth. "The conventional wisdom of oil price declines (triggered by a supply shock), representing a net stimulus to global activity is clearly at risk. We have thus hardly revised our GDP growth forecasts up for oil importers, but cut those for the major oil producers," Waeber said. The cheaper oil prices are unlikely to impact the growth rates of the world's largest oil importing countries – the US, China, India, Japan and the Eurozone – to a large extent. "The positive impact on economic growth in advanced economies is much smaller than in the past, and private consumption has reacted less positively than expected to the gain in disposable incomes," Eberhardt noted. "The net impact on the US is probably just marginally positive, as a small positive response from consumption is almost compensated for by income losses and cuts in investment spending in its oil and energy sector." The oil price levels of early Q2 2016, oscillating somewhat below 40 dollars per barrel, are still nearly 75 percent lower than their record highs reached in July 2008. "There has been a huge supply shock, leading to massive oversupply. Shale gas produced by the US has sharply reduced import needs. OPEC producers and Russia have stepped up their production of oil in order to generate additional income to make up for the sharp decline in the price of oil. Global economic growth has simultaneously slowed, reducing oil demand growth, thus exacerbating the oversupply," Eberhardt explained. At the same time, Iran has started to to boost its oil exports, now that sanctions have been lifted. Oil prices are likely to stabilize in the mid-30s US dollar per barrel range in the near-term, according to Credit Suisse estimates. By the end of 2016, the bank forecasts oil prices to rise into the mid-40s US dollar per barrel. This rebalancing is largely driven by adjustments made by oil suppliers, such as reduced spending on investments. The impact of natural decline rates at existing conventional oil fields is another factor likely to push the oil prices higher over the medium-term. Is active Can the World Run Without Oil?